The Kingdom of Fife brims over with golf courses. More than 40 can be found there, from the world’s most famous links to lesser-known inland gems. Every time I drive south over the Tay Bridge I begin to feel a peculiar sense of belonging. It seems only yesterday I was at university in St Andrews but my graduation was closer to 15 years ago than 10. No, it’s not actually the four years I lived in the Kingdom of Fife that gives me such an affinity with the small region. The real reason is that golf has its home in Fife and wherever golf calls home I know I must be welcome. Think golf in St Andrews and you’ll probably picture: The Swilken Bridge, Hell Bunker and the Road Hole. 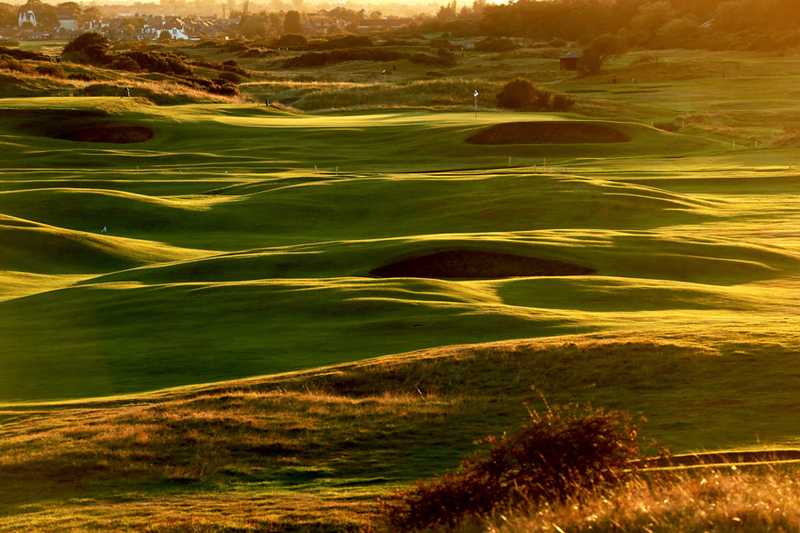 It’s not surprising; the Old Course is the most famous in the world. But the town is blessed to have six further tracks to choose from. The New Course is, in my opinion, the best of the bunch. It may not have the history of the Old but the quality of the layout certainly challenges elder brother. The first round I ever played in St Andrews was on the New. I was 17 and had just finished moving into my shoebox of a room in halls of residence. I pretty much ran all the way to the links to see if there was a chance of a game. It was a balmy September evening, the gorse was in bloom and the course was deserted. It took only a couple of holes for me to decide this was heaven on earth. The New is, of course, not so new. Designed by the legendary Tom Morris, it was opened for play in 1895. It’s a traditional out and back links with classic gorse-lined holes, narrow fairways, pot bunkers and undulating greens. For me, it’s one of the best links layouts in Scotland. Just a couple of miles from the links, looking down on St Andrews from within the boundaries of beautiful Craigtoun Park waits a totally different golfing experience. Owned by the Old Course Hotel – one of the most luxurious in Scotland – The Dukes has a heathland feel. Originally designed by Peter Thomson, the course was re-modelled by American architect Tim Liddy. He lengthened a number of holes, softened the edges of the bunkering and changed the finishing stretch. With spectacular views of the town and across the Firth of Tay towards Carnoustie, The Dukes provides an excellent alternative to the links courses on the edge of West Sands. Looking at a map of East Fife, St Andrews appears to be the region’s heart. Roads run like arteries from it into the countryside. Each one sends golfers in different directions to explore the myriad of courses Fife has to offer. Head down the A91 through Cupar and you’ll reach Ladybank. 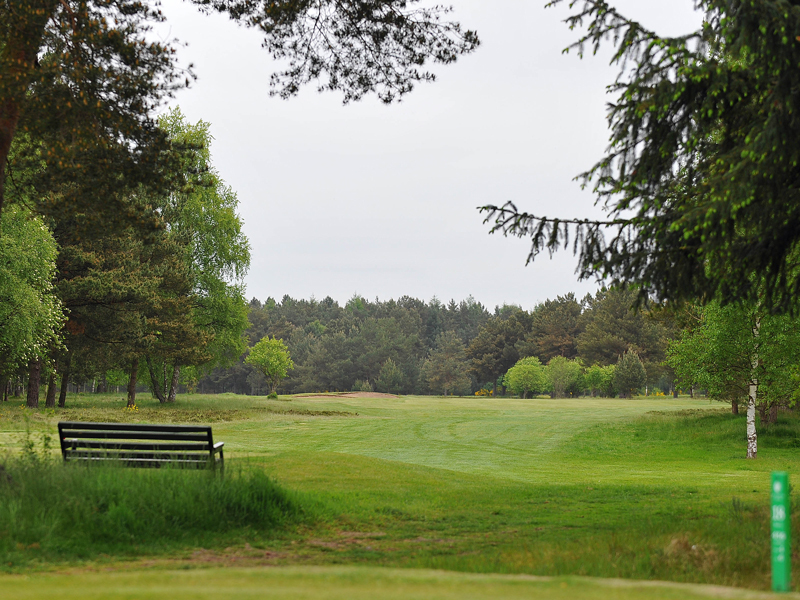 I’ve played the course on a number of occasions and have always been struck by the springy turf, heather-lined fairways, pine trees and beautiful greens. In my mind, only Blairgowrie’s Rosemount can rival Ladybank as the best inland course in Scotland. Take the A917 south along the coast from St Andrews and within 10 minutes you’ll be at Kingsbarns. 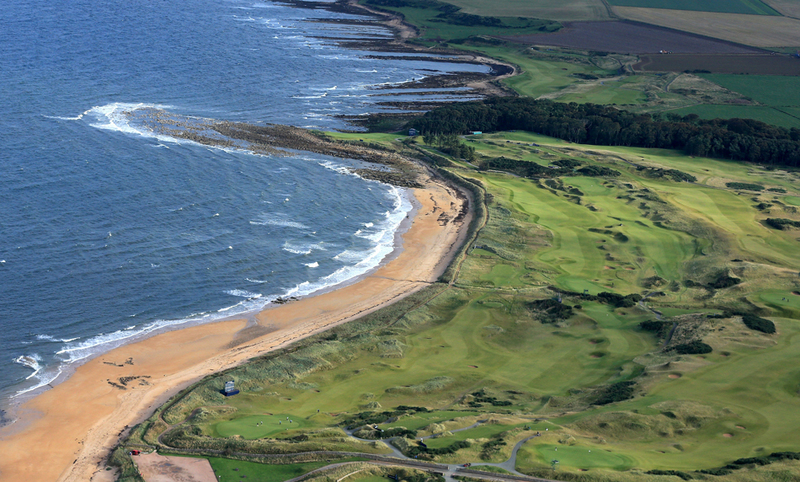 Kyle Phillips has an impressive portfolio of course designs, but I think Kingsbarns remains his finest achievement. Making use of the incredible natural golfing terrain, (golf has been played on this land since 1793) the holes cross the undulating links, many clinging precariously to the edge of the sea. Standing on the tee of the monstrous par-5 12th or the striking par-3 15th, I challenge you not to feel a tingle of excitement. Continue round the coastline of Fife’s East Neuk past Crail, Anstruther and Pitenweem and you’ll come to Elie. Golf was played on the Earlsferry Links as far back as the 15th Century and five-time Open Champion James Braid grew up playing here. The course is marvellous and full of character. From the old submarine periscope on the 1st tee (used to check the fairway is clear) to the testing 18th with a ridge running down the centre of the fairway, Elie is unique. I’ve never managed to post a sensible score here but always feel great excitement at the prospect of returning. That’s the sign of a good course. Further down the coast back towards the Forth Bridge, Lundin Links can be divided into distinct sections. The first four holes forge out along the seafront. All played into the prevailing wind, it’s an uncompromising start. Turning away from the sea, a short par three precedes three short par fours still on the narrow coastal plain. Then, at the start of the back nine, you make your way up the hill to a stretch that’s more parkland than links with spectacular views across the Firth of Forth. The par-3 14th takes you back down to sea level and the run for home. The approach to the 18th is most intimidating – a long shot to a narrow target with the clubhouse looming behind. I’ve only played Burntisland once and it was with a five-year-old golfing sensation called Reece Murphy. My abiding memory of that game was his short game. It was considerably better than mine. But, I was also impressed by the course. It may not be one of the most well known in Fife but it’s a layout of some quality. Although it offers views of the Forth, it’s really a parkland course with trees and shrubs lining the fairways rather than heather and gorse. The terrain is undulating and the holes varied. On the other side of the M90, just south of Dunfermline, Pitreavie offers the chance to play a fine parkland course designed by Dr Alister MacKenzie. It’s not long at just over 6,000 yards, but with very changeable terrain plus trees and streams to negotiate, the layout requires concentration from start to finish. Last time I played Pitreavie my playing partner holed a chip from just off the edge of the 18th green to win our match one-up. I can confirm the greens run extremely true. 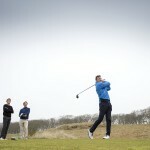 Fife may cover less ground than Greater London but it’s packed to the gunnels with golf courses of quality and renown. It will always be most famous for the links of St Andrews but there’s an enormous amount of golfing opportunity to be taken advantage of along the coast and further inland. I recommend you make the pilgrimage.